Whoever coined the term “sleeping like a baby” may not ever have encountered an actual baby, it must be said. Very, very often sleep seems like the last thing babies have on their adorable, tiny minds and it can drive their exhausted parents to distraction. Don’t worry, because we’re here to help! So what can you expect from tiny snoozers, you may ask from deep within the heavy fog of sleep deprivation? Experts tell us that tiny babies spend about half of their time in light sleep, and that by the time they turn three their overall sleeping hours reduce to a third of their time. Babies’ sleep cycles last from 30 to 50 minutes, lengthening to longer sleeps as they get older. Perhaps your baby is not like the other babies? Come sit by us. If your tiny person seems to want to party all the time, here’s seven good places to get started, when it comes to unravelling their complex sleep-wake cycle. Hunger tends to be the most common reason your baby is still awake. Perhaps your child is having a growth spurt or just not feeding often enough during the day? Perhaps teething issues or shifts in routine are scrambling their feeds a little? Offering a feed or top-up is a good place to start if your bub is wakeful. If your littlie has missed out on a nap, had a change in routine or just experienced an unfamiliar, big day, over-stimulation could be keeping them up. There are lots of way to calm your baby down and the best method will vary from baby to baby. For starters you could try darkening the room, quietening your interactions with them, popping them in a sling and walking them about or offering a sedate feed and lots of snuggles. Sometimes we get so locked into a routine, that we forget that babies are ever-evolving little creatures. Your baby might be getting too much sleep during the day, might need extra milk or be in need of more stimulation and adventures. Try gently changing up their routine. A little trial and error will help you work out what your baby needs. 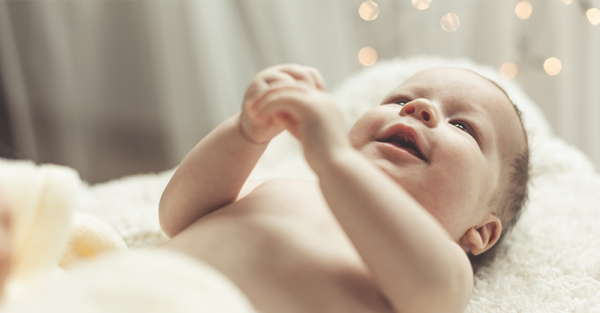 Babies love a bit of movement as they drift off to sleep, be it rocking, being walked about or even travelling in the car. Motion mimics familiar in-utero movement. There’s nothing like taking a load off to help you relax – whether you’re a baby or a grown-up. If things are wakeful at your place, get your baby (gently) moving and see if it settles things down. Babies are born with a robust sucking reflex and as the weeks roll by, some are more “sucky” then others. If breast or bottle feeding aren’t satisfying your littlies sucking urge, you could try offering a dummy to soothe them and (hopefully) send them off to sleep? It’s perfectly understandable that your baby would miss you at bedtime, because … who wouldn’t?! You’re marvellous, right?! That said, clingy babies can be very challenging for tired parents. If your bub just can’t do without you, have a chat to your GP or Maternal Child Health Nurse and get some support and advice on how to best manage this in a way that makes sense to you. Teething, colic, ear aches, colds. There’s a whole host of uncomfortable reasons your child might still be awake. Make a note of any physical symptoms, if this wakefulness persists, and check in with your GP. 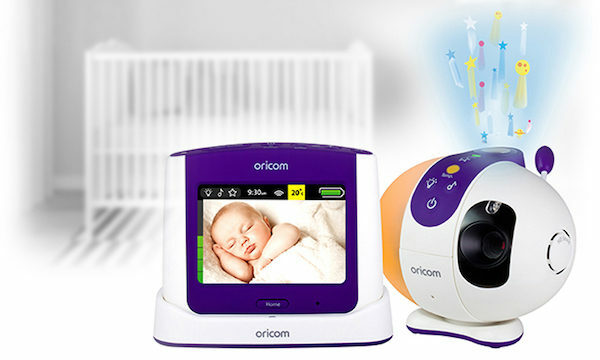 Keep an eye on snuffly or restless little ones once they’re in bed with a monitor like the Oricom Secure870 Touchscreen Video Baby Monitor. It’ll give you some peace of mind and might even offer further clues about what’s keeping your baby up. Is your baby keeping you up at night? What worked for you in the g0-to-sleep stakes?